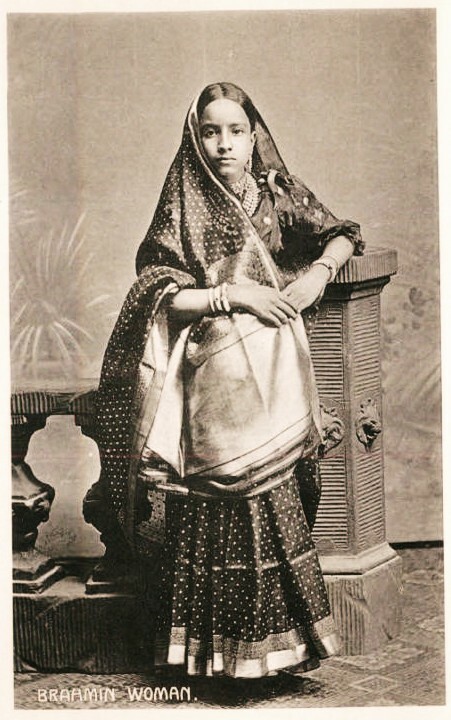 A striking image of what must have been a most beautiful saree; I think it is from a high quality turn-of-the-century post card. I like the patterned border finished off with a solid woven gold band. The soft blouse and pretty sleeves, just enough jewellery, and that swath of gold on the pallu make me positively rapturous! Even the dotted field is such a feminine touch, simple and regular but adding a lightness to the material. what color would you want?